Daisy goes to Little Nippers Nursery where she plays with her friends, Dexter, Evie and Bob. They talk about lots of important things. One day they talk about daddies. Dexter’s daddy is a fireman, Evie’s is a doctor and Bob’s is a teacher. Daisy has a think about what her daddy does. He has mountains of paperwork, always has to fly and his boss is a real dragon. Is it possible that her daddy is an Explorer Super Knight! This is a really adorable book. The text is imaginative and charming. Adults as well as kids will get to laugh about it. 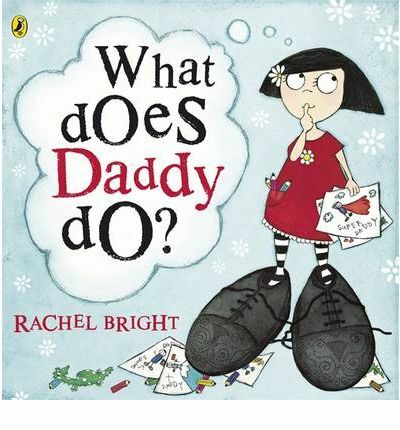 It is the perfect book to share with daddy or even about daddy. The illustrations are big, bold and appealing. It may be early in the year but this is a front runner for my father’s day recommend of the year.